Blackshear Bridge News & Events – We Want You! Veggie & Tree Sale at Bread & Roses Community Farm Stand – First Friday, Feb. 5, 2-3:00 PM Blackshear Elementary, Northeast playscape at corner of Salina & Gregory 78702 Looking for a new tree friend for your yard? Get your: Chinquapin or Live Oak, Red Bud, or Arizona Cypress — $5 one gallon trees, $10 five gallon trees, $186 for the Treaty Oak tree… plus all the usual great, local organic veggies from Farm Share. 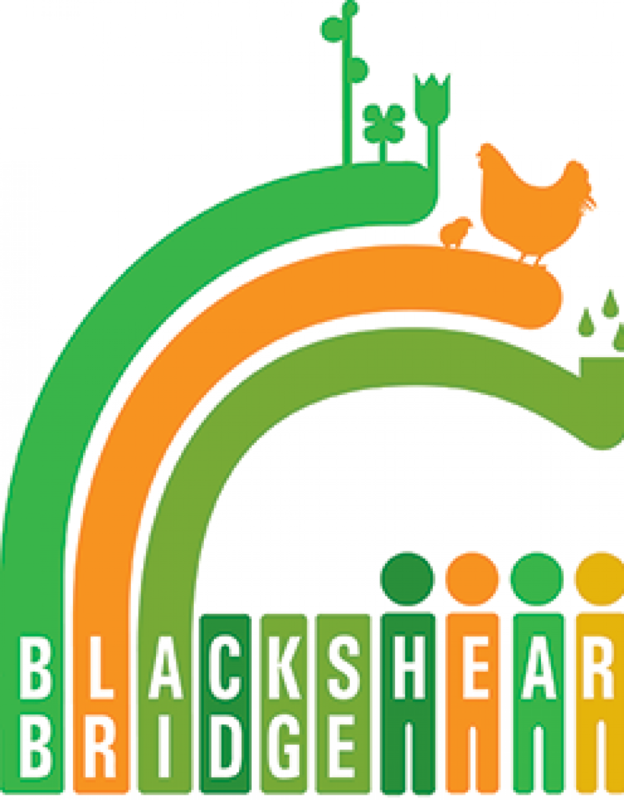 This Friday, 2-3 PM at Blackshear’s northeast playground. Proceeds go to sustain Bread & Roses Community Farm Stand. Thanks, to our friends at Keep Austin Beautiful, Huston-Tillotson University, Farm Share & Seton Health. 2-3 VOLUNTEERS with professional skills to complete the application for a SNAP machine to make Lone Star card purchases and the Double Dollar program possible at Bread & Roses Community Farm Stand. 5-10 VOLUNTEERS with the ability or desire to paint art. Help create The Stuff of Life mural for Blackshear Elementary School’s Yellow Jacket Garden kiosk. Want to help? Adults are painting while childcare is available doing art projects with snacks. Join in the fun! 5-10 VOLUNTEERS to facilitate outdoor education during Enrichment Time Friday afternoons. We’ll prepare you to lead! Huston-Tillotson University, in partnership with nine other Historically Black Colleges and Universities (HBCUs) in the southeast region, commemorated the life and legacy of Dr. Martin Luther King Jr. through community service. The colleges and universities collaboratively engaged in one of the nation’s largest days of civic engagement, reflecting King’s legacy to build capacity, invest in community solutions, create collaborations that value diversity, and improve the well-being and empowerment of our community. With funding from the Corporation for National and Community Service, Huston-Tillotson University partnered with the Austin Area Heritage Council, Hoovers, Peace Through Pie, Blackshear Bridge, Keep Austin Beautiful, the African-American Cultural Heritage District, Hands on Central Texas, Blackshear Elementary, and Kealing Middle School to coordinate service activities that had a positive impact our community. Scores of HT students gathered with local residents and east Austin legends for a Peace through Pie social and then went on to clean MLK Dr., collect can foods, landscape at the Six Square (African American Cultural Heritage District) and Kealing Middle School, and cultivate gardens at Blackshear Elementary and HT. To view pictures from the nationwide campaign, go to: #HBCUSPREADTHESERVICE. And just so you know, we built this TOGETHER working AS 1. Let’s work together and add to The Dream that Martin Luther King Jr. spoke about to make life better for EVERYONE! What do we have to lose by trying? Here’s what we did — we sold Peace Pies, a breakfast/brunch pie created by Chef Hoover Alexander, owner of Hoover’s Restaurant just for the MLK DAY celebration. We had words from Huston-Tillotson University and the principals of Kealing Kenisha Coburn and Blackshear Betty Jenkins about working together to build a strong inclusive community and the role education plays in the process. It’s a new start bringing people and institutions together working AS ONE to build a better community for All of our children of all ages, because we are all someone’s children! We also had a Peace Pie Communion in which we served free of charge a slice of Hoover’s Tasty Tasty Tasty, Pumpkin/Sweet Potato Pie to all in attendance representing represent Our Community eating from the same plate and building from the same heart and mind. Again it is a start of bringing us all together AS 1 Community. All sales on Jan. 18 went to the Blackshear Elementary PTA for student and school projects and activities. Thanks, Blackshear PTA, Principal Jenkins, and Blackshear staff! If I could speak to Dr. King today and he asked me what we could do to make the world a better place, I would tell him it can happen, because four little words can make one big difference. “What are these four little words?” He might ask. I would tell him, “Compassion, Courage, Empathy, and Love.” If we truly lived by the meaning of these four words, we would be better people and our world would be a better place. Compassion is a concern for the suffering and misfortune of others. Today Syrians of all ages are leaving their homes and are looking for a safe place to live. We can show compassion by keeping them safe, giving them places to live, or giving the resources they need to buy food and drink. Also, Instead of fearing them, we need to welcome them just as our country has welcomed refugees in the past. The Dalai Lama, a Buddhist Monk said, “Love and compassion are necessities, not luxuries. Without them, humanity cannot survive.” We can also show compassion in our daily lives – think about someone who is bullied at school, a homeless person, a family facing health or job challenges, or a friend who is having a bad day. Our display of compassion to these people and others can go a long way. We all need courage to stand up for what’s right or to speak up for what’s right. Courage comes in all sorts of ways. If you know something is wrong, use courage to tell someone. If you want to stand up for what’s right and you don’t feel courageous, ask someone to stand with you. When people of color are not being treated fairly, show courage by fighting for equality. Speak out for better schools in poorer neighborhoods, for better housing in all parts of your city, for jobs with a better pay, for medical care for all and speak up for gays and lesbians to have the same rights as everyone. The next word is Empathy. Empathy is the ability to understand and share the feelings of another or in other words, “Walk in someone else’s shoes.” Mother Teresa said, “Loneliness and the feeling of being unwanted is the most terrible poverty.” So when you see a homeless person, try to think of how it must feel to be that person. Figure out ways you can help them like giving them something to eat or drink. Maybe you could even buy them a blanket to keep warm. After all, Mohanda Gandhi said that, “Poverty is the worst form of violence.” If we are neglecting our poor, could we be committing an act of violence? When a friend is having a bad day we should show empathy – that person could have slept in a cold house because their electricity was cut off, or had a loss in the family or worse could be dealing with some form of daily abuse. Be empathetic – Ask “how can I help”?, Ask “who can I call”? Ask, “what do you need”? The final word is Love. In my opinion love is when compassion, courage, and empathy all come together because without love those actions are meaningless. After all it was you Dr. King that said, “Darkness cannot drive out darkness: only light can do that. Hate cannot drive out hate: only love can do that.” In your, “I have A Dream Speech”, I believe you were simply trying to say, “There can be peace in this world and we can all get along. “I agree, if we can learn how to appreciate each other’s differences and work together in unity, anything is possible. Dr. King, let’s all work to show our Compassion by helping others, display Courage by speaking up, show Empathy by being more understanding, and show Love by caring for each other’s needs. Thank you! Thanks to all of you who came to the Peace Through Pie Social and MLK Day of Service last Saturday at Kealing. Special thanks to Dominos for donating 60 pizzas and staying to serve them, HEB for their $500 grant, keep Austin Beautiful for loaning us tools, Greater Mount Zion Baptist Church for their musical performance, NJHS for their participation, and Huston Tillotson (HT )as well as Blackshear Bridge for their collaboration. A shout out to art club for their awesome art; Ms. Kristen Scott’s photography class with help from volunteer Nine Francois for their Neighborhood Stories Projects; Councilwoman Ora Houston for coming; parents who helped organize: Kara Kockelman, Christie Manners, Sarah Fekete, and Gayathri Ramanathan; and teachers who participated: Shannon Jones, Kristen Scott, Bobbie Bolin, and Roscoe McCormick. Thanks to those who made it happen: Gina Tillis and Amanda Masino of HT, Donna Hoffman of Blackshear Bridge, Blackshear parent and community member Jonathan Clark, and Luanne Stovall (Peace through Pie creator).